There is a very special and select group within the new World ARC fleet who have just begun their round-the-world adventure. Aged from 8 to 21, their contemporaries back at home will have been digging out school uniforms, or returning back to university following the Christmas holidays, but as of 6th January, the 'Millennials' of World ARC 2018 are now on their way to Santa Marta in Colombia - Leg 1 of their epic and (hopefully) educational voyage! After that their journey will take them through the Panama Canal and into the Pacific. The international cohort includes a number of children and young adults from the United Kingdom, Ireland, the USA, Denmark and Norway. Some have chosen to time the trip to specifically fit with breaks between school and university, or with the agreement of their schools to keep up with the curriculum. Amongst the group, several are already accomplished ocean sailors. Josh from Mad Monkey (UK), Haley from Cayuse (US), and Anders, Aksel and Edele from Tintomara (NOR) have already sailed across the Atlantic Ocean as participants of World Cruising’s recent ARC and ARC+ 2017 events. It has been great great preparation for their longer voyage on the World ARC. 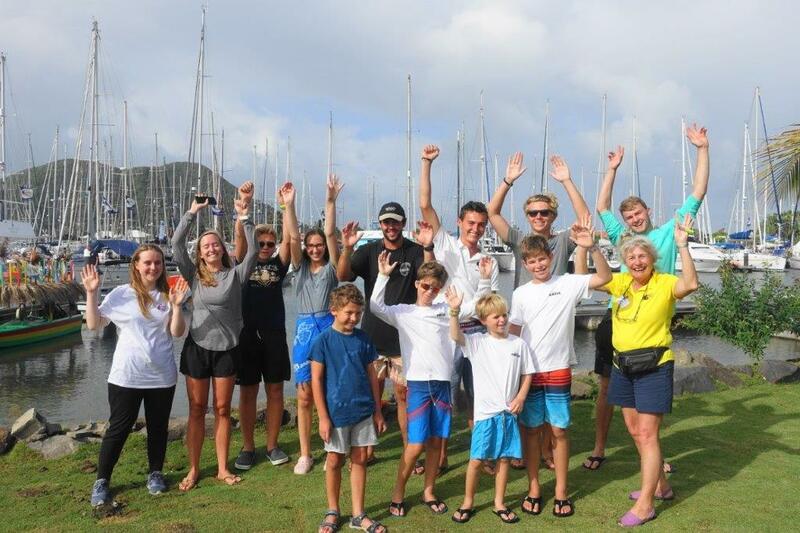 Those who have just joined the fray in Saint Lucia have quickly integrated into the group, bringing their own sailing experiences and skills to the mix. Calle who joined the crew of Pinta at the last moment is a previous European Hobie Cat champion; he has also just finished training as a boat builder. Jake and Miles from US catamaran Jo Jo’s Circus have won several Optimist regattas in the USA. Charlie, their younger brother is learning fast. Jake, aged 12, even steered the family catamaran out through the narrow entrance channel to Rodney Bay Marina in Saint Lucia on their way to the World ARC start line. Organisers from World Cruising’s ‘yellow shirt’ staff team were all very impressed! Some of the younger participants have begun using their own WhatsApp group during the rally so they can keep in touch, arrange social events and share news during the stopovers. They are already a close knit group having developed their friendships on the pontoons in Saint Lucia prior to the start, and will no doubt be using the SSB Net as a way of keeping in touch whilst underway. There won't be much access to Facebook out on the open ocean - possibly a challenge for those who have grown up as part of 'Generation Like' - and getting used to sparse communications in some parts of the route may be their challenge but not without rewards. Life at sea tends to revolve around the structure of watches and watch-keeping. For many of the youngsters there is an additional rhythm to the day. The younger participants are will continue with their schoolwork during the rally with time set aside on each boat for their studies. Amongst the older teenagers is a determination to translate the maths they have learnt at school into the skills required to navigate by the stars using the traditional methods of astronavigation. In addition, all will have some amazing adventures and gain experience of other cultures whilst learning some unique life skills along the way on their voyage around the world. Most importantly, many of them will remain friends for life – bridging age gaps and nationalities through common experience of life at sea on a unique voyage together.